If they made an equation for comfort food, I’m pretty sure the base would be pasta + cheese. Now, don’t confuse comfort food with downright depression – the equation for that is pasta + cheese + bread and looks something like a Domino’s Pasta Breadbowl. It’s a thin line, I know, and one that Italian-American recipes are constantly on the verge of crossing. The classic pasta + cheese + sauce + (sometimes) meat combo is the perfect example; you can drown your sorrows or winter blues in a big serving of cheesy pasta, but it’s not a cry for help. 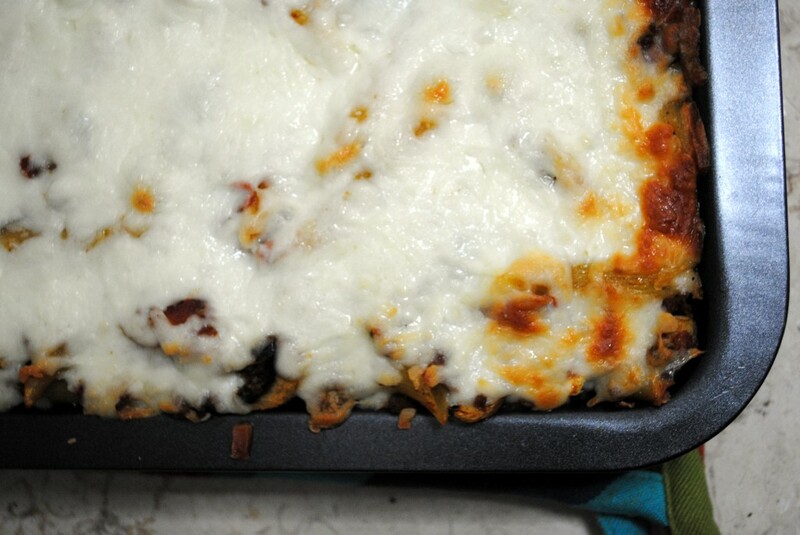 Baked Ziti is one of the many possible outcomes to the above demonstrated equation. A mainstay at pizza places and a popular selection from The Sopranos cookbook, this hearty dish is far from elegant. At its worst, gummy fake cheese congeals over a mess of overcooked pasta. 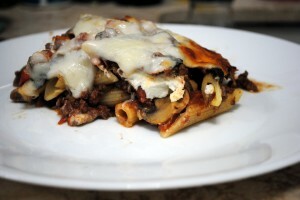 But, when made with quality ingredients and some good old fashioned love and soul, Baked Ziti can be moan-out-loud good. The recipe can easily be made vegetarian by omitting the meat, but I do think it adds depth and substance to the dish. For me the dollops of fresh ricotta are what elevate this baked pasta from mundane to delectable. 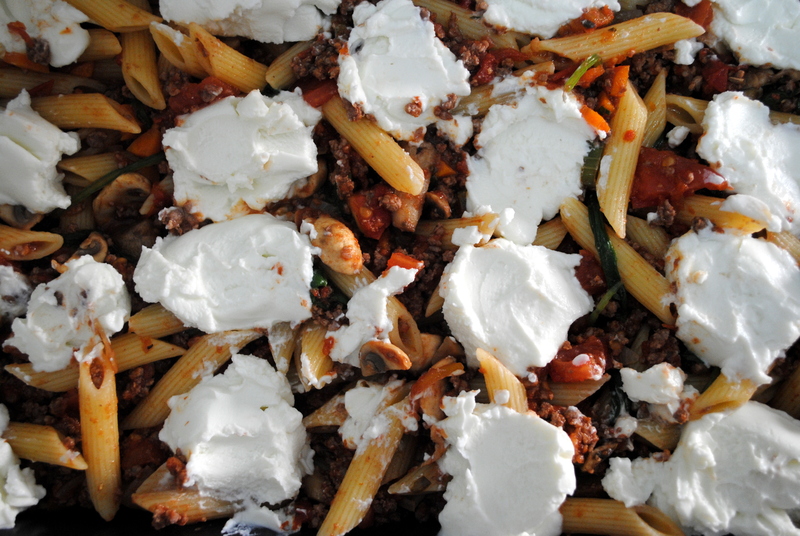 If you’re feeling too lazy to read the recipe below, I’ll sum it up for you: cook ziti to just al dente, make a bolognese sauce, mix together, add to baking pan, add evenly spaced dollops of ricotta, top with shredded mozzarella, and bake until the top is melted and slightly browned. For an even easier, vegetarian variation, skip the meat sauce and mix the ziti with a jar of store-bought sauce. 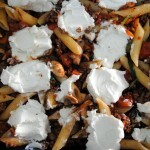 Cook th ziti in a large pot of boiling water until just al dente. Drain and set aside. Heat oil in a large pan. 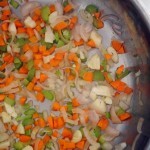 Add the onion, carrots, celery, and garlic and cook, stirring occasionally, until softened. 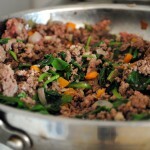 Add the ground beef and cook, stirring frequently tobreak up the pieces, until browned and mostly cooked through. Add the spinach and mix in until wilted. Meanwhile, heat oil in a separate pan. 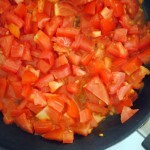 Add tomatoes and cook over moderate heat until the juices have released and a light sauce forms. Add this (or canned tomatoes) to meat mixture and stir to combine. Season with salt and pepper. Preheat oven to 350F. 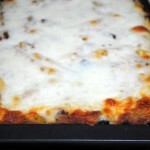 Spoon ziti and sauce mixture into a large baking or casserole pan. Top with evenly spaced dollops of the fresh ricotta and cover with shredded mozzarella. Bake until the cheese has melted completely and is lightly brown. Cut into squares and serve immediately.